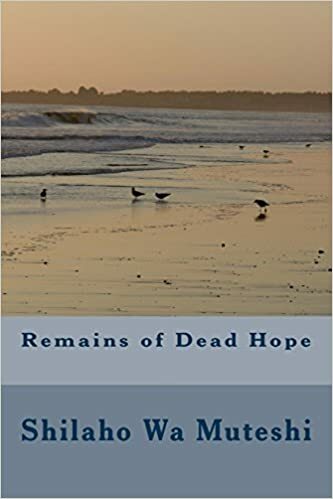 Remains of Dead Hope is a novel based on a people’s fight against tyranny, human rights abuses and corruption so rampant that it can be seen in almost anything, the story of a priest’s fight against the burden of guilt. He has betrayed his congregation and so have the leaders he has joined betrayed the people of Diamboland, a country plummeting dangerously towards forth world status. These victims of betrayal regroup to wage a war on the tyrant, yet some of his supporters are alive and kicking. It’s the story of Mojawan, a former minister, Rele and Shuma, Sons of the late freedom fighter Chamuka rising against the grand uncle Mandherich’s government. Click here to buy. Main characters Mojawan – A member of parliament for a constituency on the outskirts of Diambo city and a former minister in the government of Diamboland. He is detained for helping his poor constituents and taken to a mental hospital when he pretends to be mad while in detention. H.E. Mandherich – The president of Diamboland. Has ruled the country with an iron fist for 25 years. Takes human tears everyday for breakfast and is thought to feed on human flesh. He forcefully married Purity Mandherich, a young air hostess and vows to destroy any man who wants her. Chamuka – A freedom fighter that differed with Mandherich soon after independence. He was rigged out of elections and detained. He died in detention but his grave was later found empty prompting every Diambolandan to believe in his resurrection. Shuma – Chamuka’s son. He is a student leader at the University of Diambo. He is shot twice and detained following a demonstration by university students. Rele – He is Chamuka’s second born son. He is a young man who plays an important role in the fight for his people’s freedom.